A Voltas split AC is your best bet to beat the summer this season. Voltas is top brand when it comes to brand popularity and sales. 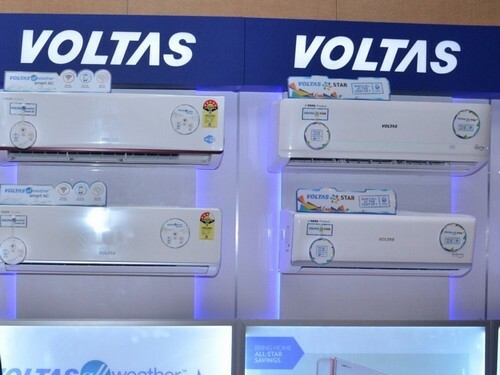 There are brands which provide very good product and there are brands which provide very good after sales service but Voltas provide both excellent product and great after sales service at the same time. Voltas split ac is most probably the best selling model of all AC in the country. There are various types of models available like window AC, cassette AC, inverter AC or floor standing but Voltas split AC is your default choice when it comes to selecting one of them as Voltas split ac fits the most situations. Being a split AC it is noise and vibration free and aesthetically more pleasing. Since it’s a two unit machine you can install indoor unit where ever you want in the room. It comes in various designs and colors. It also comes with various cutting edge features like anti dust and catalyst filter, LED display, auto restart, sleep mode, turbo, timer, Wi-Fi and ionizer to name a few. You can choose from various capacity models like 1 ton, 1.5 ton and 2 ton. Although 1.5 ton is most selling model of Voltas split AC as fits the most standard room sizes of around 150 SQ. FT. But you can choose according to your room size and cooling needs. If you have slightly smaller room you can choose 1 ton model. If you want to cool a bigger hall room you can choose a 2 ton model. Another important criterion while selecting Voltas split AC is energy efficiency rating or star rating. Voltas split AC are available in 2 star, 3 star, and 5 star models. Inverter models come in 3 star and 5 star rating only. Also inverter models come with R-410A refrigerant only. 3 star and 5 star are more popular with customers. If your running is higher you can select 5 star models although that would be most expensive to buy in starting but would save you the money in operating cost over a period of time. If you run your AC for modest durations only you can go with 3 star models and save yourself some money while buying. All these qualities makes Voltas split AC an excellent choice. To make the deal even sweater all these cutting edge features and technology comes at a very competitive price. Very informative article. I will be looking this summer to replace an old wall unit. (It’s a window air conditioner that the previous home owners installed a permanent spot on an exterior wall). Thanks Shane. I am glad to know that you find it informative. Wow 2 and 3 star systems are very eco friendly which is more difficult to find in great split AC systems.